Enjoy guaranteed results when you have an experienced plumber in Laguna Hills, CA working on your plumbing needs. Be it a request for a plumbing repair job or a scheduled maintenance, our Laguna Hills plumber can be almost anywhere in the OC in 60 minutes. Call us the very first moment you suspect that something is wrong with the pipes. Our skilled plumbers at OC Plumbing Pros will not disappoint you. When you call us while the problem is still small, we can cut the costs to the minimum. Contact us if you do not know what to do with a plumbing leak in your home. The last thing we want to do is to go into your home and start destroying walls to get to the pipes. Call us 24/7 at (949) 371-8413. Your Water Heater Is in Need of Repair? Call Us: When your water heater is damaged, you immediately think about buying a new one but it’s recommended that you let us look at your damaged water heater first before you make a decision. Your water heater malfunctioning does not necessarily mean your unit has reached the end of its life. So, while you may want to entertain the idea of getting a new heater, call us first, and let us see if it is still practical to repair your unit or ditch it for a new one. We always strive to cut the expenses without compromising quality of work. Drain Cleaning Services To Unblock Clogs: Cleaning drains is a task that is often left out, only to regret it later when the water is pooling in your kitchen sink. It looks bad as it is, and terribly unhealthy. Rest assured, though, that we know just what to do in cases like this, and because we have access to the most modern tools and equipment, we can ensure flawless solutions to keep the drains open. More savings for you, of course. Precise Spotting Of A Leak and Repairing It: Call us and we will send our team anywhere in Laguna Hills to diagnose and address the problem. If we can save you a lot of money, then we go home happy. Then you really have a problem on your hands. Don’t wait for the problem to worsen, call us now and our modern detection tools will be able to pinpoint the leak even without breaking your walls or floors first. Emergency Plumber Laguna Hills – Call Us Now! Re-piping, Plumbing Installation and Repair of Garbage Disposal: If the pipes in your Laguna Hills home need replacement or re-direction as may be necessary when you are going to undergo a major renovation project, give us a call to do the job competently and safely. Why are we mentioning this? Our licensed plumber can also fix your leaking garbage disposal, or set up a new unit in your home. 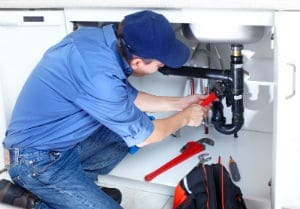 Let us emphasize that repairing or installing garbage disposal is something you must leave under the hands of an expert, because there are specialized tools and skills needed to get the job done flawlessly. Installing or Repair of Toilet: Have peace of mind that our team will address your situation right away. It can put you in total discomfort when you just have to “go” and you realize that the toilet is “out of order”. A broken toilet can be a health-hazard, too. 24-Hour Emergency Services Only Here at OC Plumbing Pros: We realize that plumbing emergencies can catch you off-guard, thus we make sure to be around 24/7 to render the necessary assistance. As soon as you notice anything that is not quite right with your plumbing system, give us a call so we can respond at once. Plumbing problems are not only inconvenient, they also can cause damage to property and health if left unattended for long. Just like in hospitals, emergency cases will be treated accordingly. Call Our Laguna Hills Plumbers Now! Our plumbers go the extra mile in providing helpful advice regarding routine plumbing maintenance to ensure your system is at its most efficient state. We always strive to make the whole process as painless as possible for our customers. We deliver excellent service all the time, in the performance of our jobs and in our customer care. In this case, we can rightly claim that OC Plumbing Pros is synonymous to quality and competitive pricing. Call our plumbing contractors today at (949) 371-8413!